When LINE introduced “hidden chats” feature with end-to-end encryption, it gave users the privilege to set time limits to their messages. Hidden chats can be used on one-to-one conversations between supported devices, and it’s possible because when a hidden chat is created, a filter is attached to the message to make it impossible to view the message again after the viewing time has expired. However, the steps to set up a hidden chat during a LINE chat can be tricky. So, you will need a help to set up Hidden chat, and the lapsing time. This post will guide you on how to set up LINE hidden chat on your iPhone, and how to permanently erase hidden chats from iPhone when the need arises. 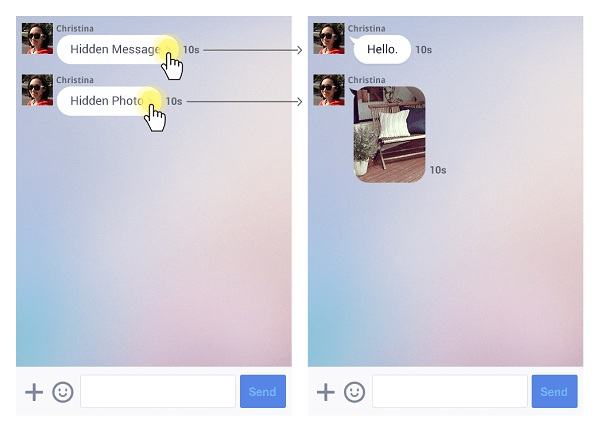 LINE hidden chats is a “Letter Sealing (end-to-end encryption)” message feature on LINE app that allows you to make a 1-to-1 disappearing chat with a friend, coworker, family member or anyone. The content of a hidden message will only show for a pre-set amount of time, and after the time limit is reached, the message will be deleted automatically. Hence, LINE hidden chat feature is perfect for sending messages that contain sensitive information that you don’t want anyone to see. LINE hidden chat feature can be supported on iOS devices that can run iOS 5 and later versions, and on Android devices that can support Android 2.3 and later versions. However, the hidden chat feature can’t work on mobile smartphones and devices such as Blackberry, Windows or Nokia devices. This feature is not available in China and Japan. Texts that are supported on LINE hidden chat include text messages, location info, contact info, and images. Meanwhile, LINE hidden chat doesn’t support video messages, voice messages, snap movies, albums, and notes. Step 1. Open a 1-to-1 chat with the person, and tap “Hidden Chat”. Step 2. You can set a limit to the amount of time the recipient can view the chat from the default 1 minute to 2, 5, 10 seconds, 1 hour, 1 day, or 1 week. Step 3. After the recipient has viewed the chat, it will be deleted from the chat room when the time limit expires. Step 1. Once someone sends you a hidden chat, a chat room will be created when the message arrives. Step 2. Click on the hidden message to view it, and it will be open for the stipulated amount of time set by the message sender. Step 3. After the message time limit expires, the message will be automatically deleted. It’s important to mention that LINE hidden messages can easily be deciphered using a hacking tool. So, there is a need to completely wipe every hidden LINE message so as to protect your privacy. You may not understand how important privacy protection is until your sensitive data gets into the wrong hands. 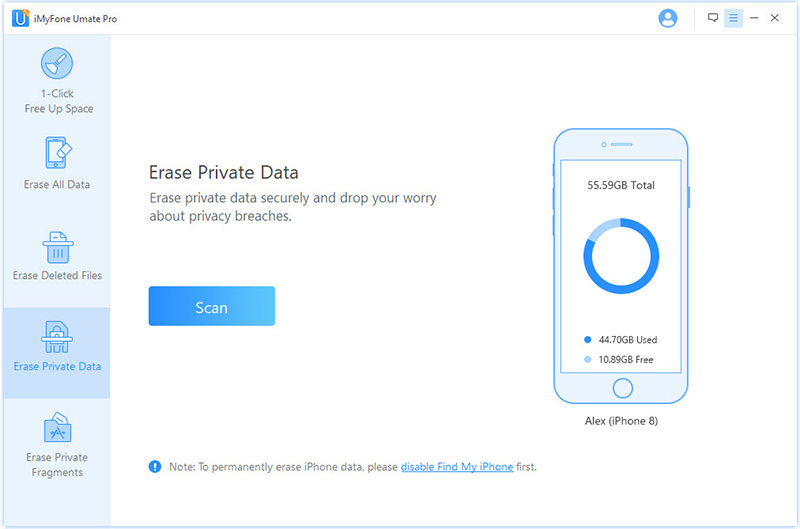 However, that’s never anyone’s wish, but it’s important to mitigate and block possible loopholes that can lead to data breach using an iOS device data eraser called iMyFone Umate Pro. iMyFone Umate Pro will be of great assistance to you in removing/deleting LINE hidden messages permanently. 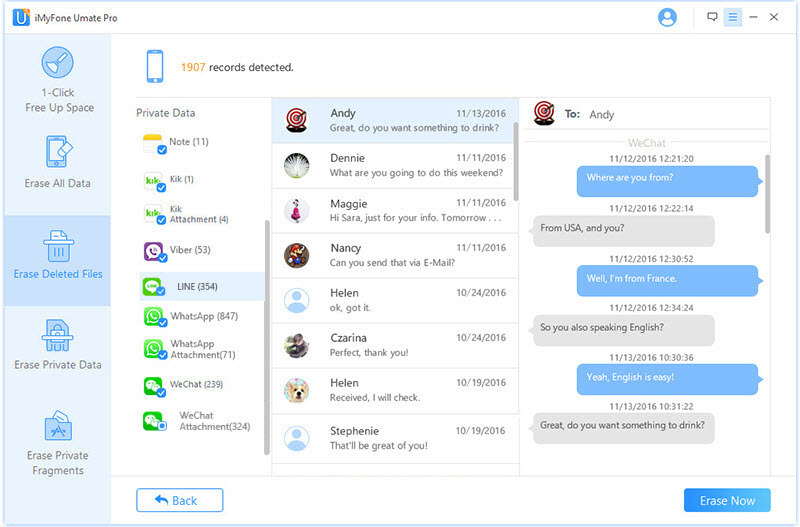 This tested and trusted third-party software for erasing private data has the capacity to wipe even hidden chat caches and fragments from your iPhone in order to keep you clean and safe. Permanently delete LINE text message, photos, videos, etc. Without chance of recovery. Scan and erase previously deleted LINE messages to secure your privacy. Previews are available before you erase data, which prevents you from removing wrong data. Erase third-party app fragments to ensure there is no leakage of sensitive information and data. Protect other hidden and auto-deleted messages from messaging apps like Facebook Messenger, WhatsApp, Viber, Kik, etc. Step 1. Connect your iPhone to your PC using a USB cable. Launch Umate Pro. Step 2. Choose one of the erasing modes, like choose “Erase Private Data” to erase existing files, choose “Erase Deleted Files” to wipe deleted data, or choose “Erase Private Fragments” to delete incomplete fragments. Then click “Scan” button. Step 3. After scanning, iMyFone Umate Pro will list your private data. Select “LINE” and other private social networking apps you want to erase by ticking the box next to them. Then, click the “Erase Now” tab. Step 4. Type “delete” into the box and select a security level. Then, click “Erase Now” button to delete LINE hidden messages. You are done. The erased files won’t be recoverable any more with any recovery tool.